Selection of 8 Scholastic Books suitable for pre-school aged readers. 1. 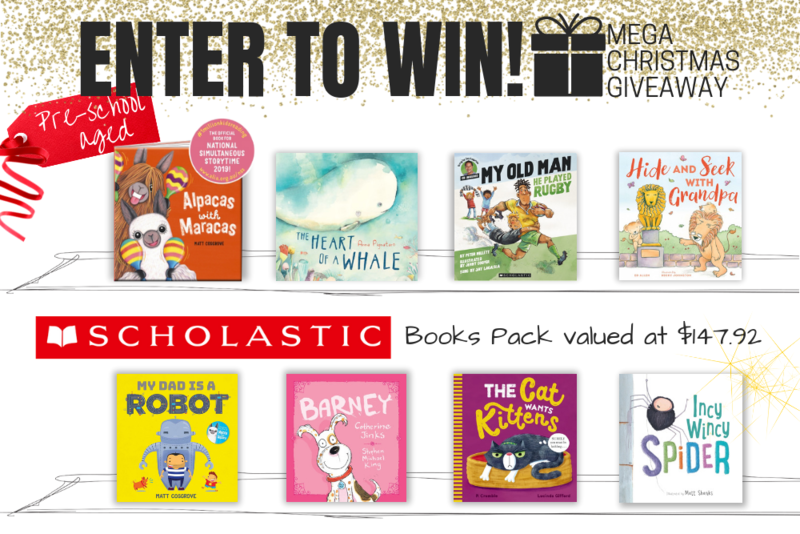 **Scholastic Books Pack - selection of 8 books for preschool age children. Total Prize Value $147.90** AUD (the "Prize"). 2. It is the responsibility of the winner to collect the Prize within 7 days of the end of the Competition Period from the Promoter’s Mornington office. 3. The Prize, or any part thereof, must be accepted as awarded and is non-negotiable, non-transferable to another person and non-convertible and is not transferable for cash. 4. The prize must be collected from the Promotors Mornington Office, unless otherwise advised. 1. A prize draw will be conducted within 24 hours of the end of the Competition Period among eligible entrants registered in the application database. 2. The winner will be chosen at random from all eligible entries received during the Competition Period in accordance with these Terms and Conditions. 3. The winner will be notified by Email and noted on the Competition Page on Peninsula Kids website. The winner will be required to accept their Prize email within 48 hours of notification, otherwise the winner will forfeit any and all claim to the Prize awarded but not accepted. Details of how to collect the Prize will be given at this time. 4. The Promoter reserves the right to cancel this Competition at any stage, if deemed necessary in its reasonable opinion, or if circumstances arise out of its control. 5. In the event that a winner is not contactable (after Mornington Peninsula Kids uses its best endeavours to contact the winner using the contact details provided by the winner), a second chance or unclaimed prize draw will take place. The second chance or unclaimed prize draw will be Emailed/Messaged.